The Capitol building stands on an elevation near the center of Austin, in a square area of 25 acres. The main front faces the North end of Congress Avenue. 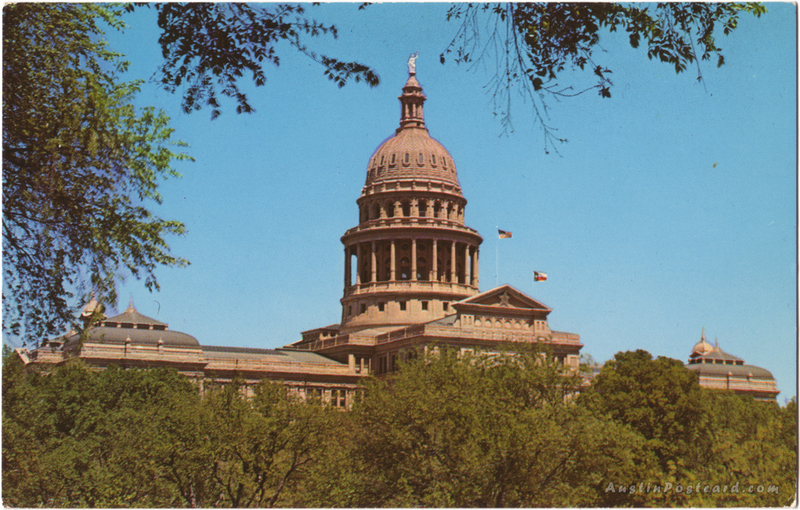 It is the second Capitol built on this spot and the fourth building used for this purpose since the founding of Austin. The first stone Capitol built here, and dedicated in 1855, was destroyed by fire in 1881 and some of the early records with it. This new Capitol was completed in 1888 and is of Classic architecture with the National Capitol as its prototype. On the top of the dome stands a statue of the Goddess of Liberty.